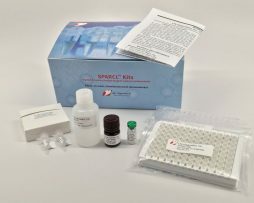 SPARCL™ (Spatial Proximity Analyte Reagent Capture Luminescence) sandwich assays use two biomarker specific antibodies; one conjugated to horseradish peroxidase (HRP), the other conjugated to acridan, a chemiluminescent substrate. When HRP and acridan conjugated antibodies both bind to the biomarker they are brought into close proximity. 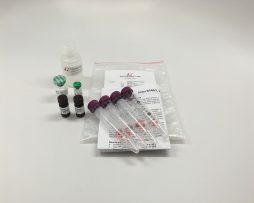 With the addition of hydrogen peroxide (trigger solution), HRP catalyzes oxidation of proximal acridan molecules causing a flash of chemiluminescence that is proportional to the biomarker concentration. Acridan molecules distant from HRP cause no luminescence. This principle allows development of a range of rapid and sensitive homogeneous immunoassays.